The clutter here, at Phlogiston Books, is reaching epic proportions, so now that the Geometrist is gone, we've decided to summon and bind a professional bookseller/librarian to organize our collection: Isbin. Isbin is a cross of Don Quixote and the Ank-Morpork librarian, with a streak of Igor. 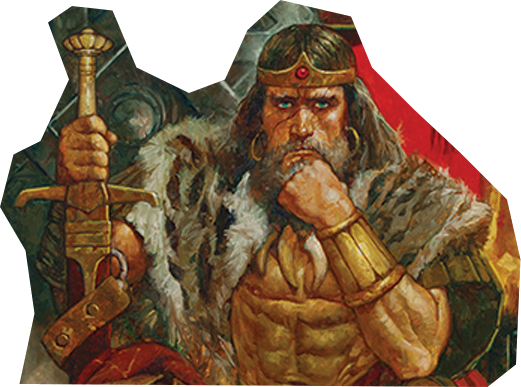 It loves books and continuously craves to read more, so we'll pay it exactly with that: all the DCC RPG products to date; yes, we have them all (how could we be the proud booksellers we are, otherwise?). 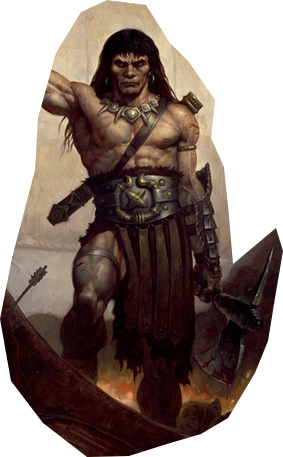 Conan when he was a thief. Grade 1. 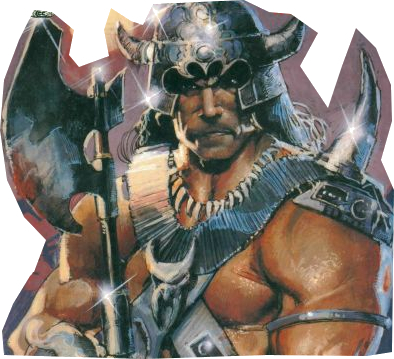 Conan as a mercenary. Grade 2. 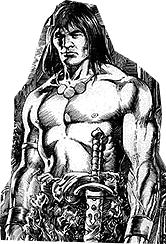 Conan during his time as a pirate. Grade 3. And, of course, a short treatise outlining the book's contents as well as its main appeals (or lack of them... which we find hard to happen, both the official and the 3rd party products are great). Along with this, all of the titles will be mystically tagged (=under categories in the blog), so just by thinking about a broad category, you'll be able to access to the information (=by clicking on the category). And, did we tell you that Isbin can dust the floors and shelves with no effort, as well?